Pear shaped boardroom table with arrowhead legs. Seats between 9 at 2500mm wide to 17 at 5000mm wide. 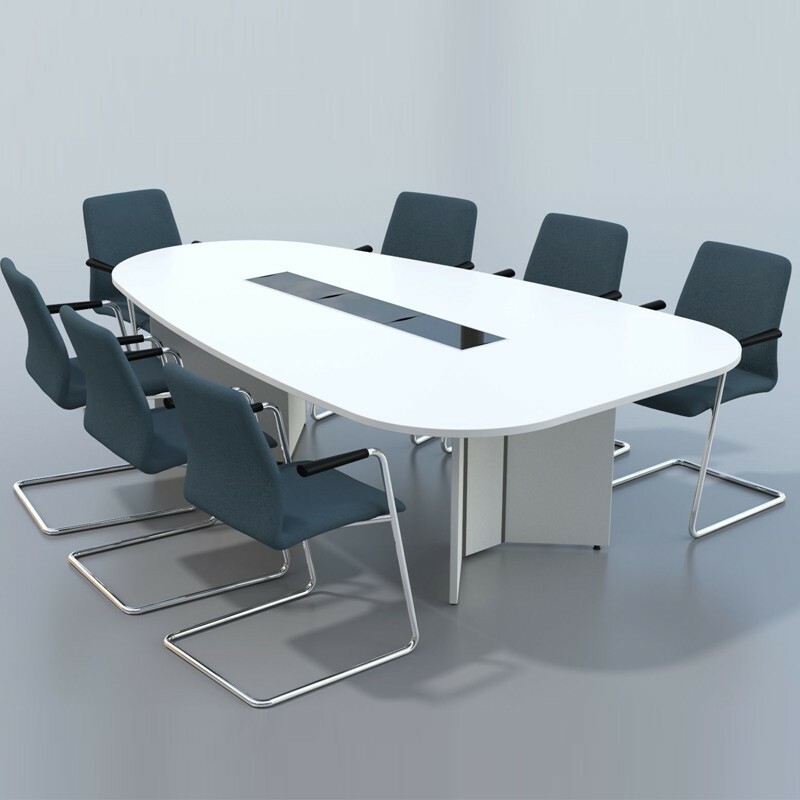 The Christiansen Arrowhead Pear Table offers an effective scalable solution up to 5m. Optional cable management. This fantastic high end boardroom table can seat between 9 and 17 people. Cable Management POA, call 0131 554 7564 to order.